You may have noticed that we have recently re-branded. 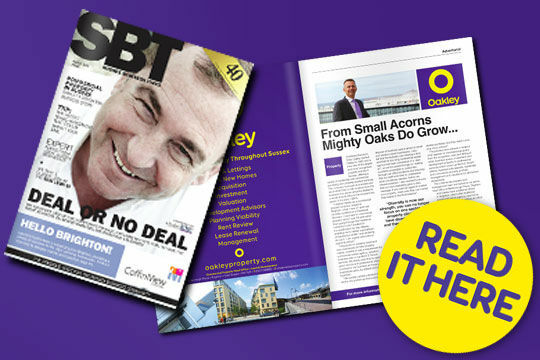 The Sussex Business Times are supporting our new look with a feature this month, about how the company started as a Commercial Property practice back in 1993 and how we have since grown into one of the largest and most recognisable property brands in Sussex, now offering commercial and residential estate agency and letting services, property management and a wide range of professional and valuation services. I hope you enjoy the read and we look forward to hearing from you if we can help you with your property needs.